Get Competing Bids From Trustworthy Heavy Haul Transport Companies. 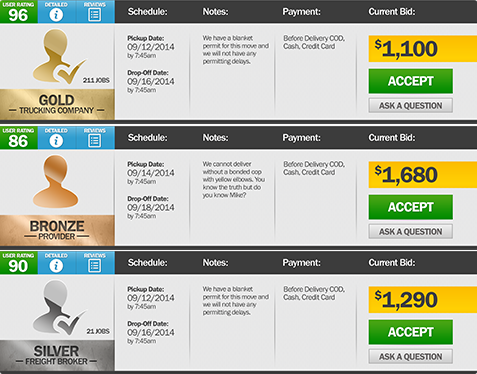 Easily get multiple competing bids from pre-qualified transport providers. Negotiate, book, and dispatch online. 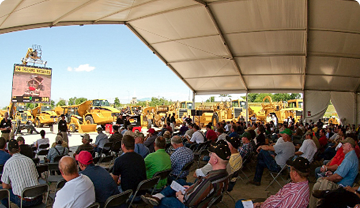 Equipment dimensions, expert advice, real-time pricing, and oversize routing. VeriTread makes the hard stuff easy. Select the right transport company with the industry’s most accurate and insightful rating and feedback system. Upfront estimates, fair fees, certified transport partners, and our hard-line commitment to accountability & integrity. VeriTread provides everything you need for a stress free experience, including built-in equipment transport dimensions, expert advice, and cost saving tips. We provide more detail in fewer steps, leading to sharper rates, less questions, and a more accountable transportation experience. It’s not just easier, it’s better and more complete. VeriTread promotes your shipment to transportation companies who are nearby with the proper equipment and expertise. We also alert transporters with extra capacity to fill, or who are in need of backhauls. This bullseye approach leads to faster bids and better rates. VeriTread’s Heavy Haul Marketplace is limited to reputable equipment transportation providers who are properly bonded, licensed, and insured. Get fast and reliable pricing from the most trustworthy transportation companies in the industry. The average shipment receives between 8 to 12 qualified bids. We make it easy to ask questions, review details, and set payment terms. Our carrier profiles give a highly accurate and easy to understand picture of each heavy haul provider in our network. 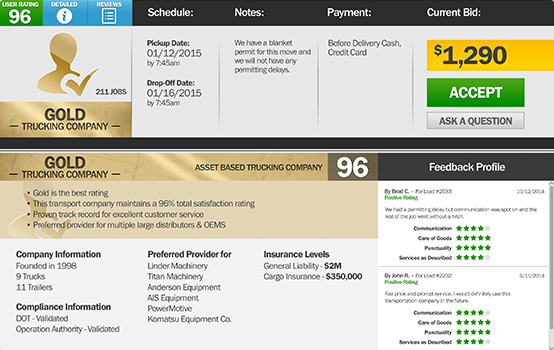 Review never before seen details like real time insurance monitoring, industry referrals, and an authentic customer satisfaction score that ensures the highest level of accountability for each hauler. 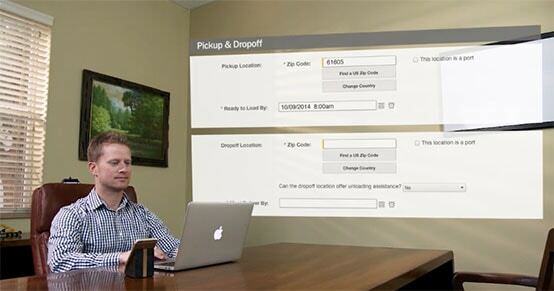 Keep your Shipment at Your Fingertips. After you select a transport company we put you in direct communication with them. You can conveniently track, manage, and edit your oversized shipment from inside the VT Control Center. 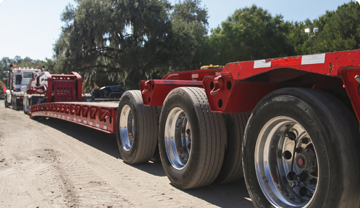 With a decade of heavy haul experience behind us, we know what details matter and how to communicate them effectively. From a legal Bill of Lading to a highly detailed statement of work, it’s about connecting you to what’s important. Gain peace of mind knowing that your shipping history is securely archived and maintained in the cloud for easy retrieval. We are excited to partner with VeriTread. Their innovative solution adds meaningful value by simplifying the process of transporting used equipment." VeriTread is advanced, easy to use, and saves our company money. We are very pleased with this product and highly recommend it." Bob Davis, President, Power Motive Corp.
VeriTread is not only easy to use, it also provides our customers with sophisticated decision tools and access to the best network of transport providers in the industry." VeriTread is the new industry standard in providing affordable and easy to use transportation services. I recommend it to all of my customers." I spent years evaluating logistics systems for our industry. Nothing else comes close to what the VeriTread system can do. It is truly ahead of its time." As a daily user of this platform in the dealer capacity there are numerous benefits for not only me, but also the company I work for." VeriTread is an easy to use tool that makes transporting machinery easy and affordable. It not only saves us time and money, but it eliminates headaches as well." VeriTread's online tools make transportation easier, and their network of carriers are truly best in class. They help our business tremendously." VeriTread is extremely user friendly, and they provide an excellent service to the equipment community. We have been very happy with this product." VeriTread is simple and efficient. Their pricing is consistently competitive, and their service is fast and complete from start to finish, exactly what auction buyers are looking for." Debbie Martin, Owner, Martin & Martin Auctioneers, Inc.
From the quote to the boat, VeriTread gets us great pricing and service." VeriTread is an excellent transportation experience. I get reliable quotes within minutes." VeriTread stands behind their product and knows how to get the job done right." Jeff Martin, President, Jeff Martin Auctioneers Inc. 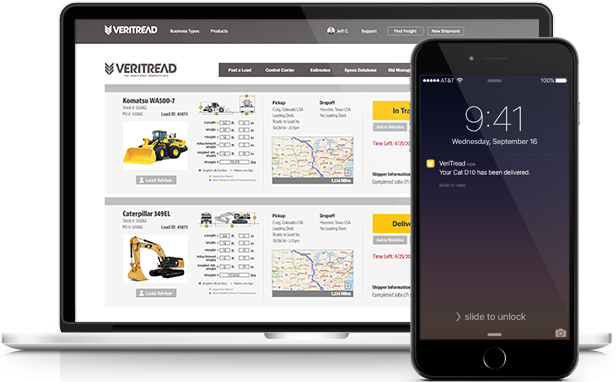 I have encouraged all of our dealers to learn more about the innovative VeriTread platform." 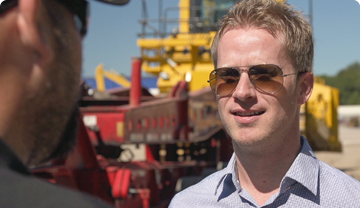 We run all of our freight through the VeriTread system, and it has increased our efficiencies." I always use VeriTread. I know they are going to get me the best combination of price and service." We use algorithms and live monitoring to investigate suspicious activity and stop fraudulent activity before it occurs by tightly managing and controlling our shipper and service provider networks. 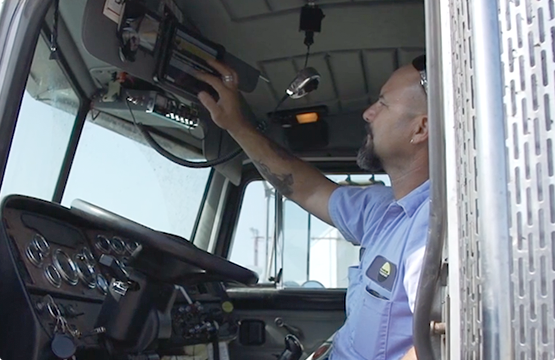 All service providers are FMCSA verified, monitored, rated, and reviewed daily. Restricting access to only qualified TSP's reduces overall risk and helps ensure a positive shipping experience. (800) 880-0468 | (863) 226-0903 or Email VeriTread. Get instant answers in our Support Center. We are here to watch out for you and ensure your experience with VeriTread is safe, secure, and smooth. Exceptional service, fair fees, and a non-negotiable commitment to honesty and integrity. We demand this from our business partners as well as ourselves. If for any reason you are not satisfied, please let us know so that we can work towards a resolution. Join the thousands who have saved with VeriTread. © 2013 - 2019 VeriTread LLC. All rights reserved.